Given two polygons (polyhedrons) α and β with the same area (volume), the problem of finding a partition of β into parts that can be reassembled to form β is a promising area of study in geometry. We define a new type of dissection, Dudeney dissection, for polygons and polyhedrons. The dissection imposes two restrictions, one based on the reversal of the perimeter (surface area) and the interior (cross-section) of the polygon (polyhedron), and the other based on the hingeability of parts. 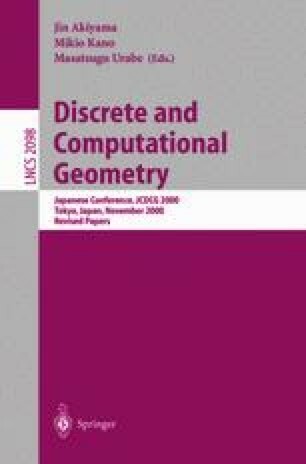 In this paper, we survey main results on Dudeney dissections of polygons and polyhedrons.